We have been blessed to work with wonderful people and organizations whose efforts have created and continue to create positive change in our world. Continue below to learn more about our projects! We were honored to partner with and support Get Outdoors Nevada and the LV Community Healing Garden. The LV Community Healing Garden came together within days of the tragic shooting that occurred in Las Vegas on 10/1/17 at the Route 91 Harvest Festival. The garden began with a sketch on a napkin drawn by local landscaper Jay Pleggenkuhle of Stonerose Landscaping, and quickly morphed into a city and community effort that united the city and our nation in cause: healing through the beauty of growth and nature. 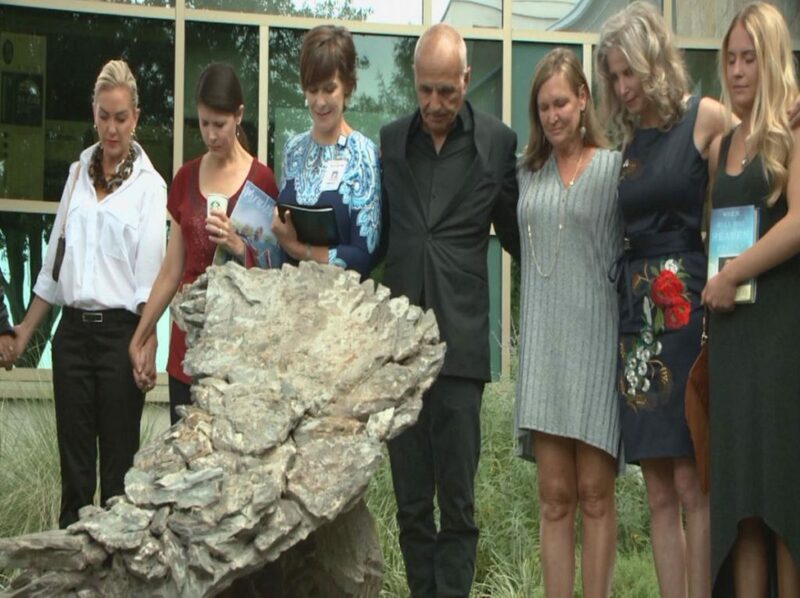 The LV Community Healing Garden represents the transformational power of Love and Courage. It has become a national place of remembrance, peace and respite, and will forever honor the 58 lives lost on 10/1/17. We give special thanks to Jessica Anderson and Mauricia Baca of Get Outdoors Nevada, as well as the entire LV Community Healing Garden Committee, whose continual efforts in overseeing the garden is an inspiring testimonial to the difference we all can make in this world. Also a big thank you to Jay Pleggenkuhle: your compassion and vision has provided our country with a permanent place to heal from all challenge. We are honored to partner with and support Get Outdoors Nevada and the LV Community Healing Garden.The LV Community Healing Garden came together within days of the tragic shooting that occurred in Las Vegas on 10/1/17 at the Route 91 Harvest Festival. The garden began with a sketch on a napkin drawn by local landscaper Jay Pleggenkuhle of Stonerose Landscaping, and quickly morphed into a city and community effort that united the city and our nation in cause: healing through the beauty of growth and nature. 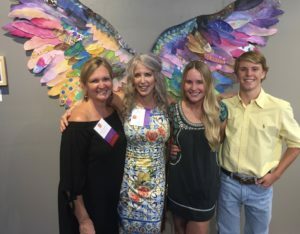 The Spread Your Wings Project was officially borne at Dell Children’s Hospital “Art of Giving” event in April of 2017. The “Art of Giving” is just one of the events hosted by Dell Children’s Trust, a Dell Children’s support group where members vote to support specific projects at Dell Children’s Medical Center after learning about the front line care needed for children in Central Texas! From the purchase of special equipment for preemie babies to providing cooking classes for cancer patient families, the Dell Children’s Trust support touches many lives. 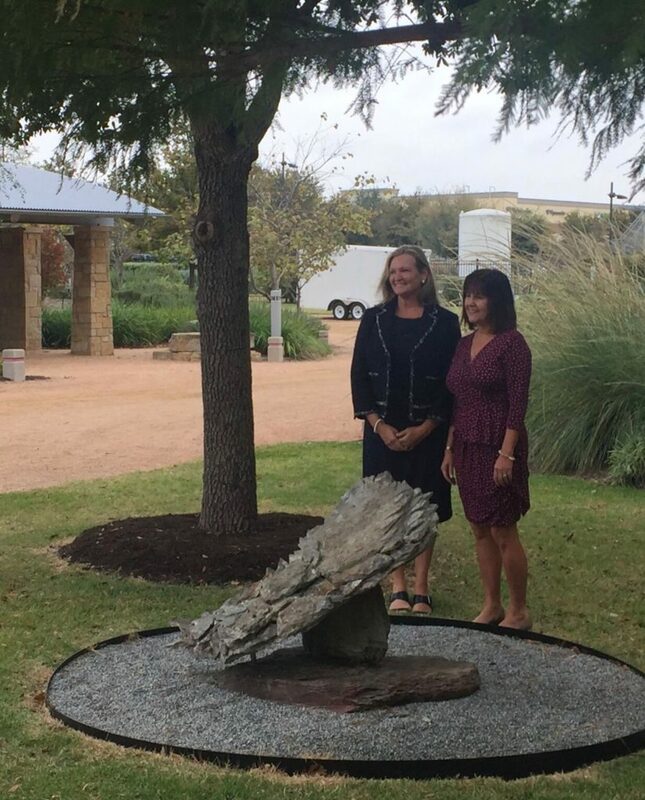 Dell Children’s Medical Center of Central Texas Foundation serves as the fundraising arm for Seton Family of Hospital’s Dell Children’s Medical Center of Central Texas. Through philanthropy, the Central Texas community helped build this outstanding regional facility, with a goal to help make it one of the top children’s hospitals in the country. The Spread Your Wings Project would like to extend special thanks to Sr. Development Director Susan Hewlitt, Foundation Coordinator Suellen Brown, Art Therapist Elizabeth Hendley, 2017-18 Chair, Tara Le Blanc, and Jason and Christie Barany, who came up with the concept for “Art of Giving” and also helps underwrite the program. Your vision, efforts, caring and never-ending support have made a huge difference for so many – and, made The Spread Your Wings Project a reality. “The Spread Your Wings Project” was borne because of one special human being and his incredible family. Benjamin Daniel Breedlove was born on 8/8/93, and passed on Christmas Day, 2011. His time on earth may have been brief, but his impact on the world is everlasting. Wake surfing, wake boarding, being with friends, making videos and playing pranks were the things that Ben spent most of his time doing – no one would never know that he quietly battled a life-long heart condition. Ben spent 18 years on earth, then, on Christmas Day, he went home to heaven. Privately, he had created a two-part video just one week earlier, titled “This Is My Story,” in which he used flashcards to tell the world about his near-death experiences and the peace and hope of heaven. Through a chain of not-so-coincidental events, artists Bobby and Elizabeth Jacobs were led to Ben and the Breedlove family. The Spread Your Wings Project will forever remind viewers that Angels do exist, that life is eternal, and that Love and Courage can transform any challenge. Thank you, Ben, Ally, Jake, Shawn and Deanne!